Henry Tan’s interest in art began in high school when a group of his friends took a drawing course as they were preparing for the university entrance exam to enter the Faculty of Architecture, but his personal interest in economics and finance led him to choose the Faculty of Economics of Chulalongkorn University over his interest in art. 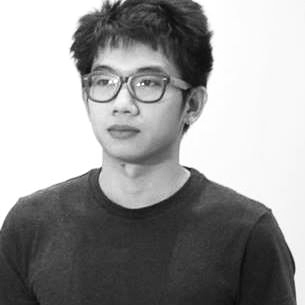 During his sophomore year, Tan was a frequent visitor to his friends at the Faculty of Architecture’s Department of Industrial Design. His junior year was when he got an internship at an advertising agency where he learned and worked as a part of the event organizing team for six full months. The majority of the time during his senior year was spent at TCDC (thanks to the rather cheap premium membership fee for students) where he joined several design workshops and got so into them that it came to a point where he actually wanted to be a professional designer but finally ended up being an artist. Tan’s first exhibition was the painting series, ‘Never Awake’ (2008) held at a gallery called nospace. One year after the gallery’s official opening, Tan returned to the space that debuted his artistic career with a performance (nospace is now permanently closed). In 2010, he enrolled in a university in Beijing where he studied Chinese while interning with a gallery named Red Gate and was mesmerized by the art scene of the capital of China at the time. “The volume is so huge. It’s like Chatuchak weekend market except that the whole place sells only art, and they have this sort of tradition that the artists who are fresh graduates would rent houses in this village where they work seriously on their art.” Living in China, Tan’s experience in art was a substantial one. He once performed a time-based performance following the idea of the Taiwanese artist Tehching Hsieh, the mind and initiator of a ‘One Year Performance,’ a project that spent the entirety of ‘one year’ working on an extended series of performances where the artist tied himself to a friend or locked himself in a cage for one year. Tan approached a similar concept in a more contemporary manner using Facebook as a platform. Throughout the period of one year in Beijing, he posted one Facebook status a day and later brought them together into a document, as his life in China gradually became another series of performances. Tan came back home to Thailand in 2012 and continued to work on his Performance art before deciding to found an art space for young artists called Tentacles in 2014 at Studio Miu with the entire program being curated following his own personal experiences and interests.